I seem to be on a run of reading feminine noir this month, and was looking for my next read. 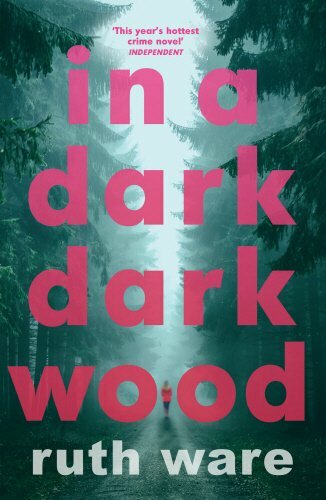 In A Dark Dark Wood fit the vein of my current genre crush, though I should admit that after having read reviews on Amazon, I was apprehensive about the quality of writing. Perhaps due to this forewarning, I was not disappointed. Ruth Ware's novel is fast-paced and exciting, a murder mystery in which six unlikely people come together in a glass house far from the reach of a mobile phone signal. If Agatha Christie was resurrected in the mind of a chick-lit writer, In A Dark Dark Wood could well be the end result. Despite it's inadequacies, I found In A Dark Dark Wood to be an enjoyable, gripping read which I truly didn't want to put down! I did guess most of the mystery fairly early on, but still wanted to discover the reasons why: ultimately, the most satisfying aspect of any whodunnit in my opinion. I'm looking forward to reading The Woman in Cabin 10 once my copy arrives. While Ruth Ware may not win a Nobel prize in literature, her stories are wholly engrossing.